Jason Welsh is a Managing Director in Accenture Interactive with responsibility for Accenture’s Extended Reality (XR) practice, which helps companies envision, create and deliver impactful XR experiences that fuel new business growth by improving customer connections, optimizing employee performance, and monetizing new digital products and services. In this role, Mr. Welsh oversees Accenture’s strategy, sales, and delivery of augmented reality and virtual reality (AR/VR) solutions for Accenture’s clients. 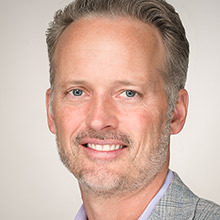 An experienced digital transformation executive, Mr. Welsh brings 25 years of large-scale delivery experience in digital strategy, marketing, technology, and innovation. He has worked on initiatives related to digital commerce, analytics, user experience design and optimization, and marketing automation for a range of industries: retail, consumer goods and services, media and entertainment, financial services, and travel and hospitality.